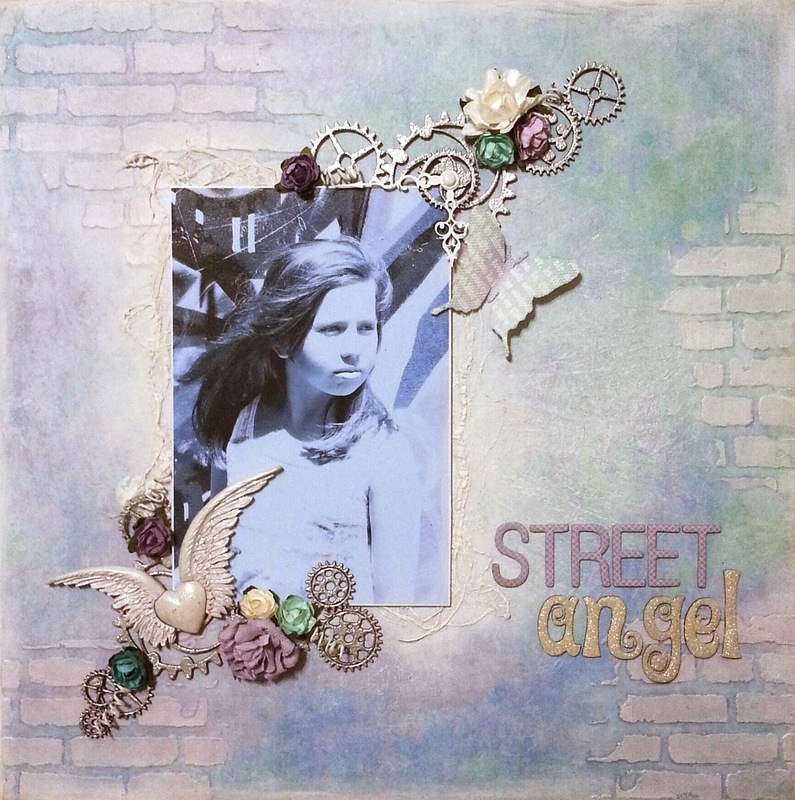 Hi there I am here to share a mixed media canvas I made of my eldest daughter. We went out on a little photo shoot and i snapped this great shot of her. She looked so beautiful I knew I wanted to make something special with this photo and this is what I came up with. Materials used: Prima Firefly paper, brick mask, resin and junkyard findings, Twiddleybitz chippy cogs and grunge letters, Stampendous silver glitter embossing powder, Kaisercraft blooms, AC thickers, texture paste, white gesso and tissue paper.